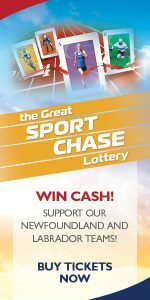 SportNL has launched its first-ever online lottery. 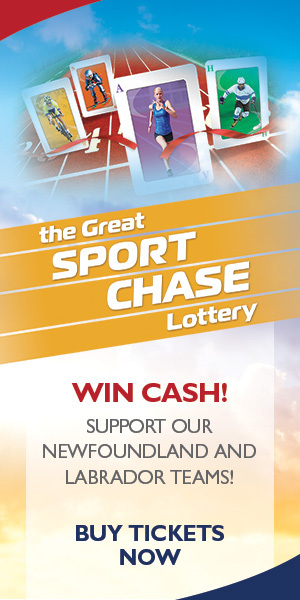 The Great Sport Chase will offer twelve weeks of draws, jackpots and fun for all those who participate. Tickets go on sale on May 2, 2018 with the first draw taking place on May 17, 2018. Draws will then happen each Thursday on the NTV News First Edition. This lottery promises to be entertaining, with weekly draws on NTV and an ever-growing jackpot. A one-of-a-kind deck of 45 sport cards has been created, with each card in the deck representing one of the Provincial Sport Organizations, who are members of Sport NL. Four of these decks will be used for the weekly contest: one “home deck” and three “away decks”. Each week, participants can buy a ticket to join that week’s Sport Chase. • One ticket holder will be randomly selected (each week) to be the “Sport Chaser” for that draw, winning 10% of the weeks total sales. • The Sport Marshall will then turn up the top card in the “home deck.” The sport revealed becomes the “home sport” for that week’s draw and will receive 5% of the week’s total sales. 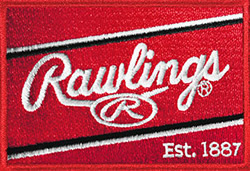 That is the sport we will be chasing that week.